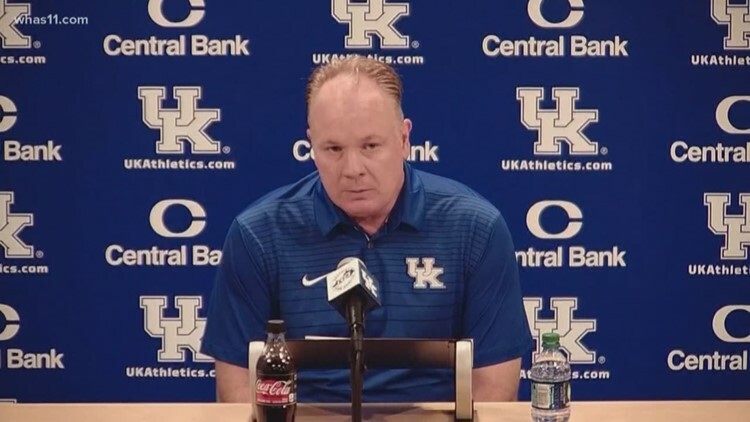 Mark Stoops will be in Nashville for the first round of the NFL Draft on Thursday night. The Wildcats could have up to 7 or 8 players drafted overall but in the first round, it's all about Josh Allen and where he'll be picked. 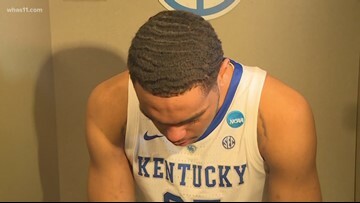 PJ Washington signed autographs at the Outlet Shoppes in Simpsonville for UK fans. Washington is signing an agent. 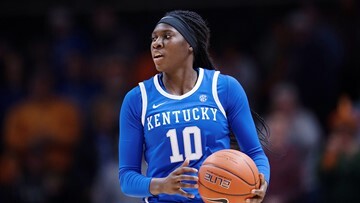 Howard was presented with her award Friday inside Amalie Arena prior to the start of Friday’s Final Four. 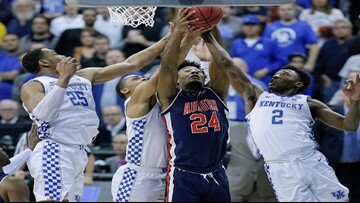 Kentucky was defeated in overtime against fifth-seeded Auburn. It was an emotional loss. The Cats are Elite 8 bound after Tyler Herro's late 3-point shot. 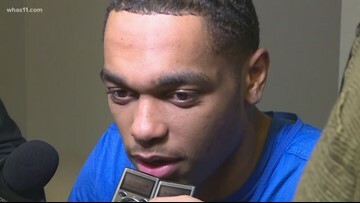 PJ Washington, who has not played in a NCAA Tournament game this season after spraining his foot in UK's loss to Tennessee, posted a video of himself walking cast-free on social media ahead of Kentucky's Sweet 16 game against Houston Friday night. 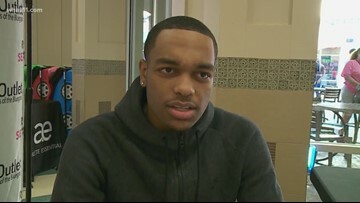 PJ Washington sent fans into a frenzy when he posted a video walking without a cast, but he told reporters in Kansas City he still does not know if he's playing Friday. 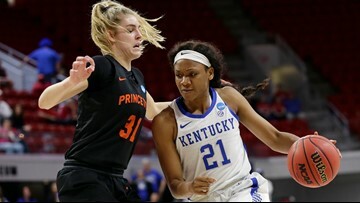 Reid Travis scored 14 points, including two huge free throws with 17.8 seconds left to help seal the victory for second-seeded Kentucky (29-6). 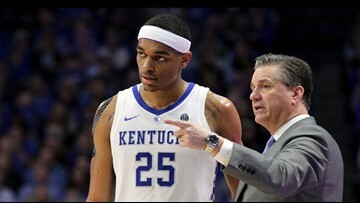 The Wildcats' leading scorer will miss his second straight NCAA Tournament game after spraining his foot against Tennessee in the SEC Tournament.